Visit our amazing document server. Everything from SciFi to Ethics. 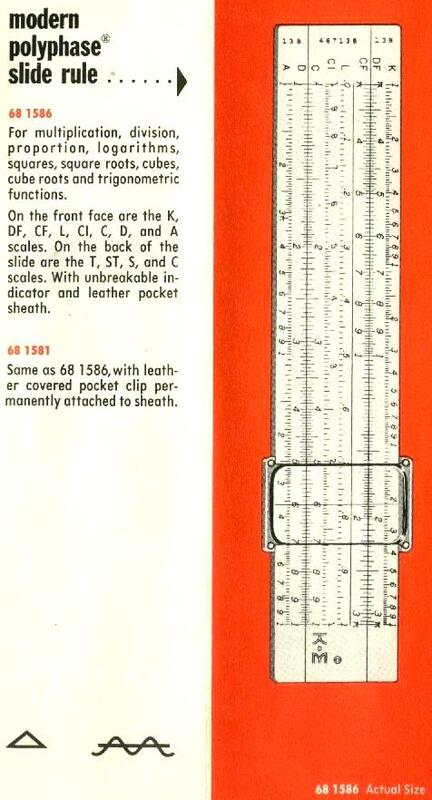 Welcome To The Sphere Research Slide Rule Universe ! Just SCROLL DOWN to see everything! K+E's 38th catalog frontpiece, CLICK for larger pic! Archival photograph from recently discovered documents passed from K+E to Azon to Itellicoat at the dissolution of each company. 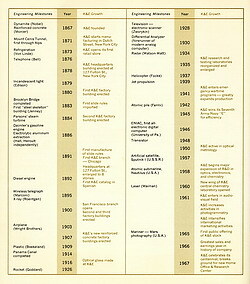 From the 100th anniversary company memorial publication materials. 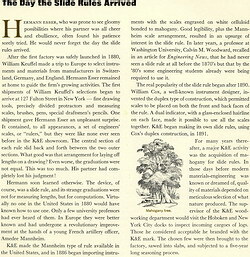 Visit Clark McCoy's K+E Catalog Site. 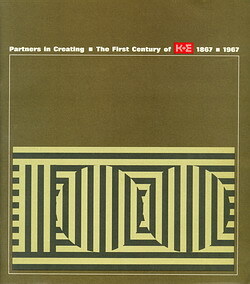 CLICK to download the entire scanned 100 year anniversary publication. There are 41 pages (including cover letter, and front/back book covers). Everything is in one ZIP archive (all high res-JPG files), approximately 20mb in total size. 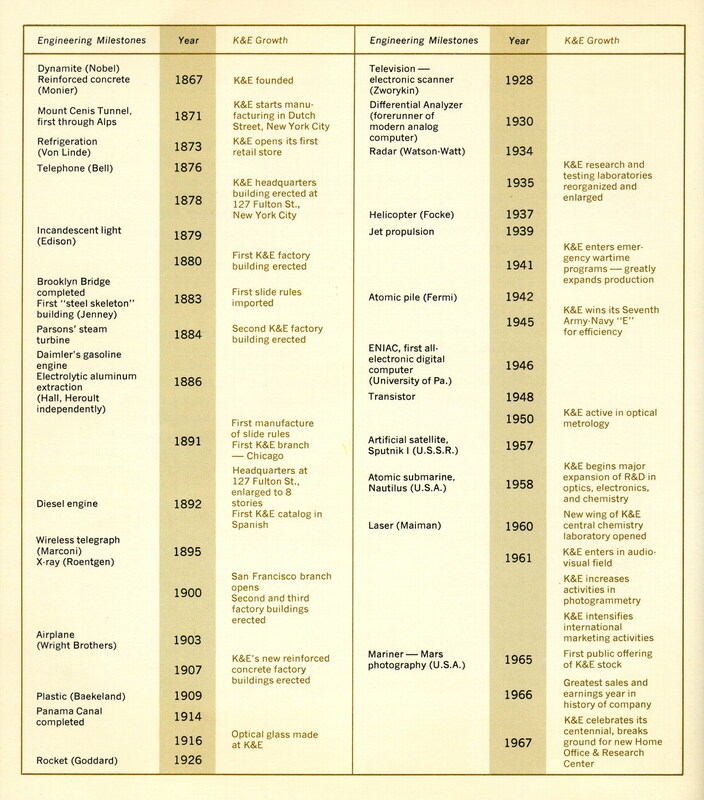 Page 36, showing K+E's corporate timeline versus major world events. 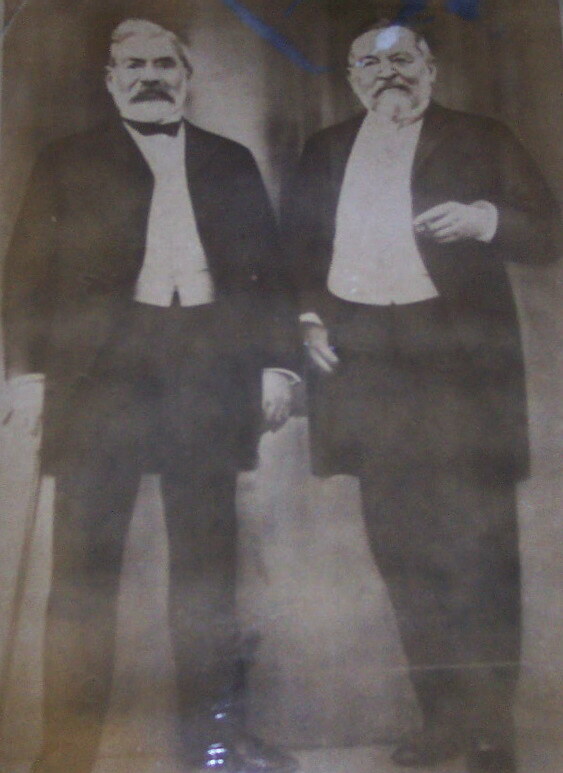 CLICK for full size JPG file. CLICK to see the full sized image! An amazing tour with K+E from 1940. 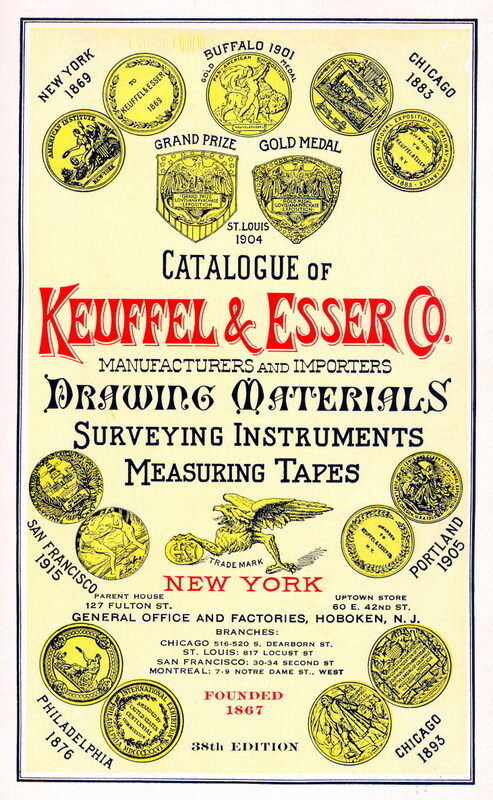 Keuffel & Esser Co. factories were based in Hoboken, New Jersey (USA), with offices in New York, Chicago, St. Louis, San Francisco, Detroit, and Montreal. 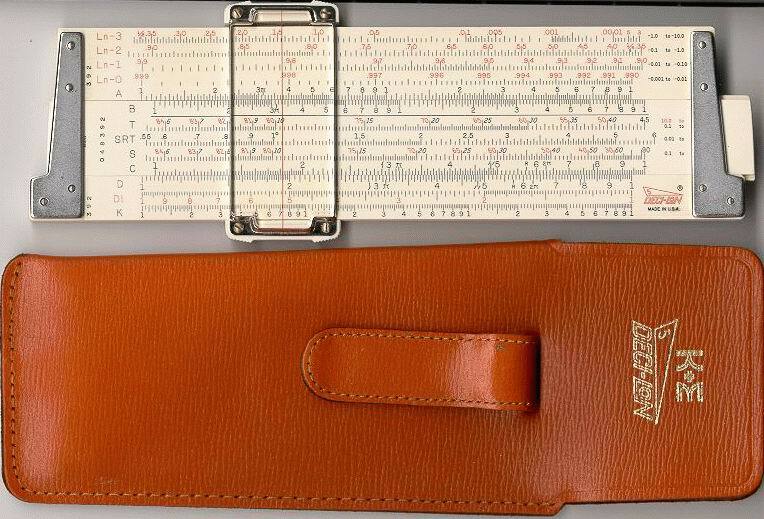 Started in 1867, slide rules were only a very small part of K+E's product offering, which included everything from drafting paper to survey instruments and drafting aids. 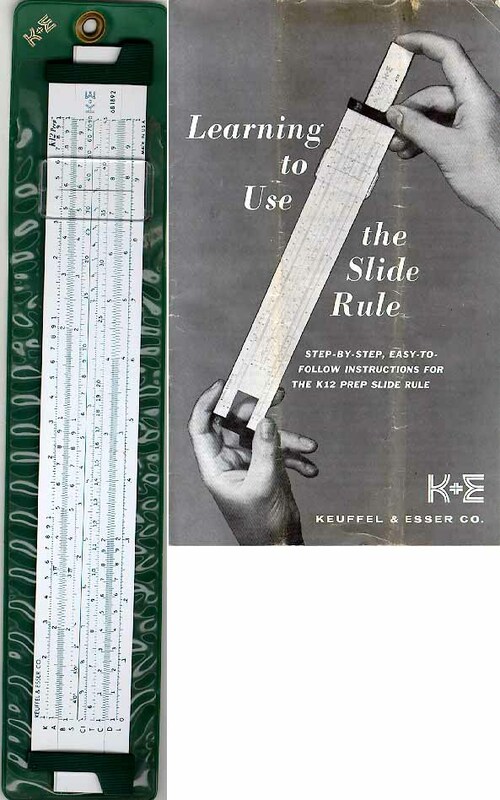 K+E held patents for a wide range of slide rule features, including improved cursor indicators, functions and scales, and the adjustable body mechanism. 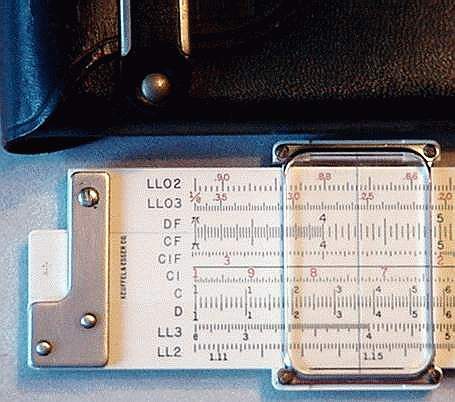 Caught by the huge market shift created by electronic calculators, CAD systems and laser surveying systems, which displaced all of their strong markets, K+E shrank dramatically after 1972. 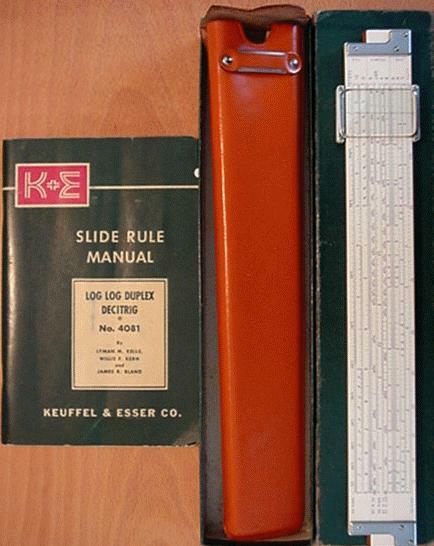 Slide rules were never very profitable for K+E, and production and most inventory was gone by the mid-70's. 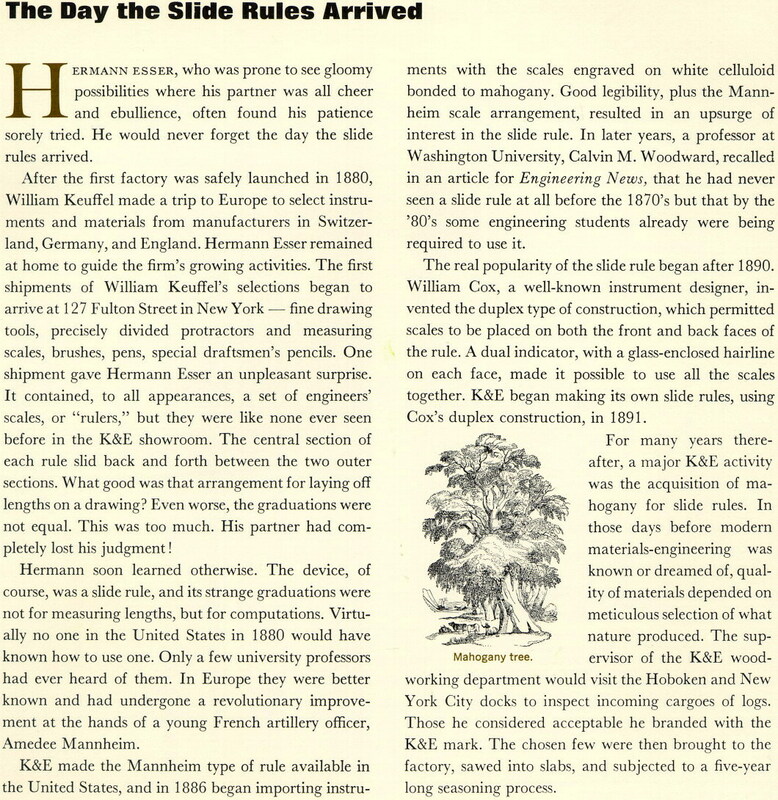 K+E even sold some TI manufactured calculators for a brief period trying to capitalize on their existing customer base and industry knowledge. 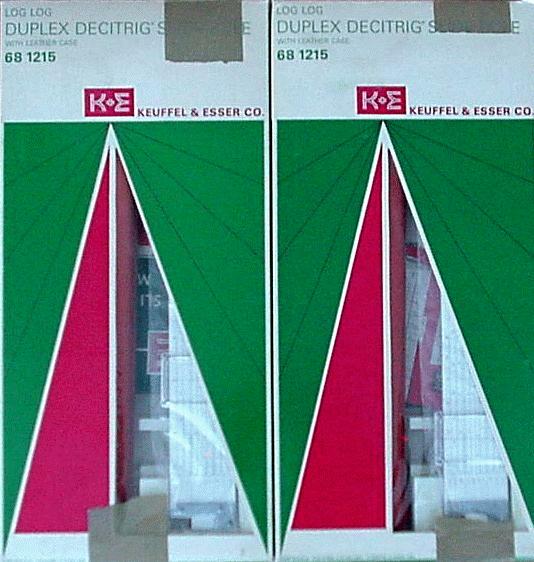 The final assets of K+E, mainly involving paper products, were sold to AZON in 1987, after several painful internal re-organizations. AZON also acquired the remaining assets of Hughes-Owens in 1988, and the POST Company in 1994, relating to it's principal business, which is drafting and reproduction paper and film. Only these paper products survived the shakeout in all these related businesses. Dietzgen still exists today, but like AZON, is mainly in the paper business, and itself was taken over by Intellicoat. 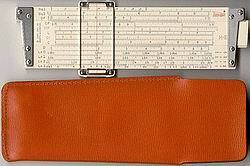 Most K+E slide rules were originally implemented in mahogany, with celluloid white scale overlays, engraved scales and glass cursors. 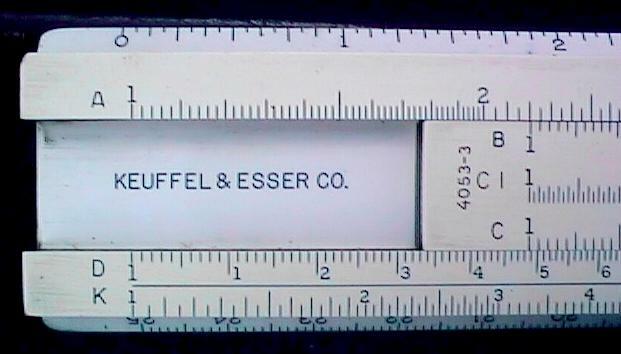 People (especially on eBay) often mistakenly think the scales on older K+E rules are made of Ivory, but they are not, they are made of white celluloid. Later slide rules like the 4097 were made from Xylonite, and then (4181, Deci-lon and Doric series) from "Ivorite", a smooth, white, long wearing plastic (Cycolac/ABS). 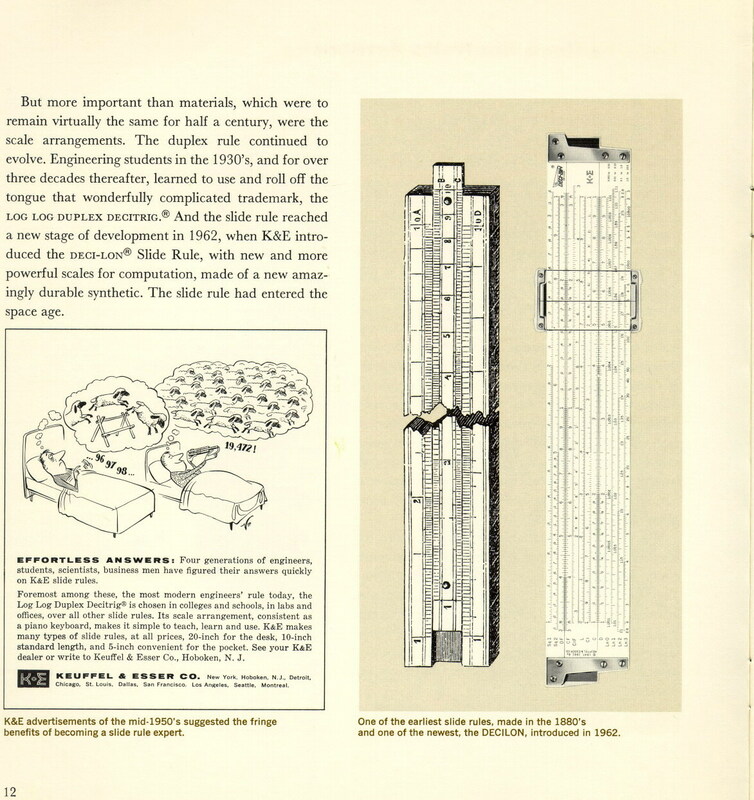 Xylonite was quite brittle, and not an ideal body material, Ivorite was much better, more rugged, whiter in color, and has very good sliding/lubricating properties. 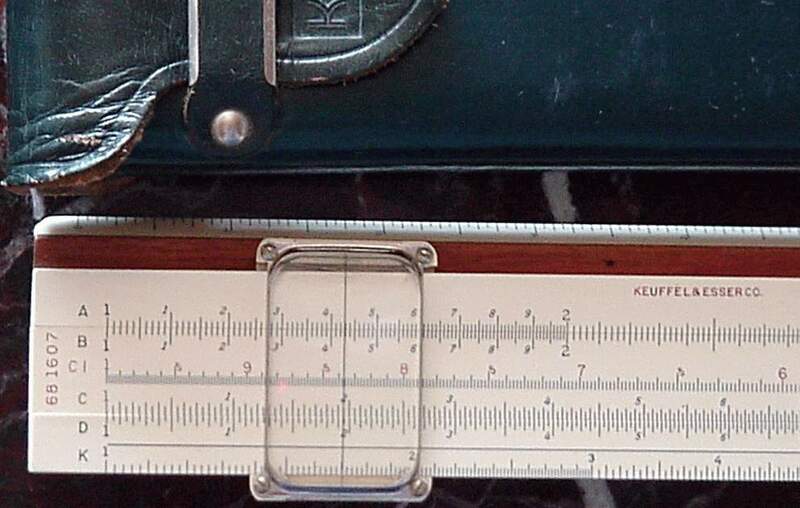 K+E rule scales were normally engraved (sorry, "engine divided") for long wearing life, and often filled in different colors to accent inverse scales. 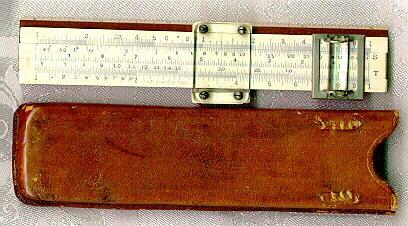 A few inexpensive rules like the plain wood body 4058, have an impressed/printed scale. 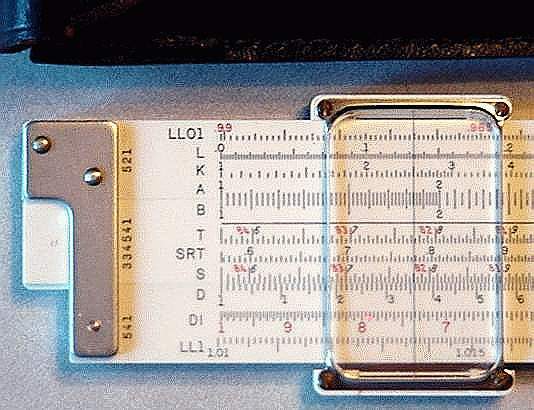 Glass magnifying cursor indicators were available, and increased the settability and resolution of virtually any rule, often making a 10" rule the effective equivalent of a 20" version. Reference data for the K+E magnifiers is shown towards the end of the table. Notes: It is somewhat unclear what the difference is between K+E slide rule numbers that have an "N" at the front, and those that do not. 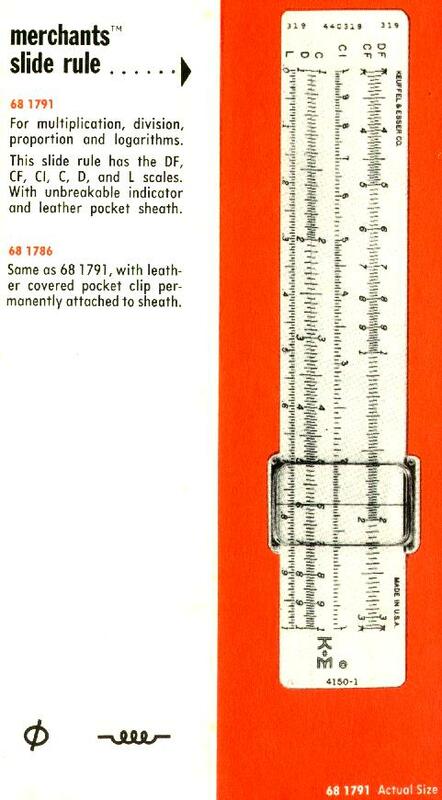 Catalogs do not clarify this, but according to Ed Chamberlain, it reflects subtle design differences in a scale or mechanical construction detail, with the N designation being the NEW version of the rule. 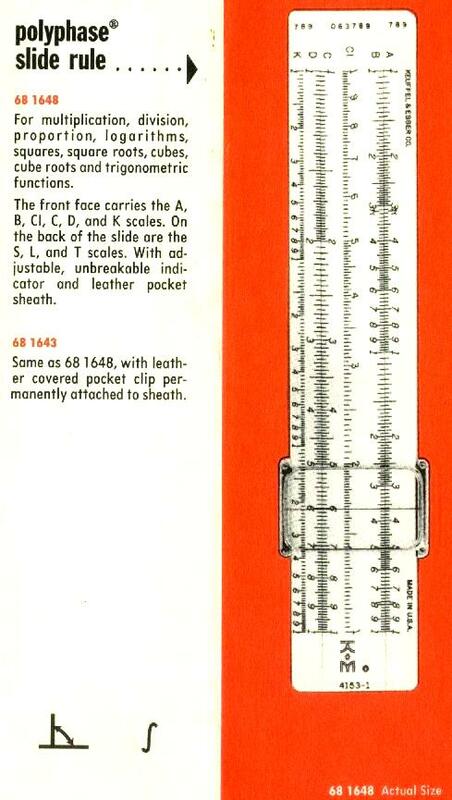 This is only a partial clue, as many K+E rules, such as the venerable 4053 Mannheim rule, existed in many subtle variations of body, cursor and scale designs, but were not differentiated by any part number change (a highly confusing situation). This rule and many others were then finally re-named with a 68-series number confusing matters even worse for collectors. 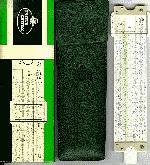 Note that PIckett (a competitor) also added N to the front of rule numbers to indcate new physical designs. 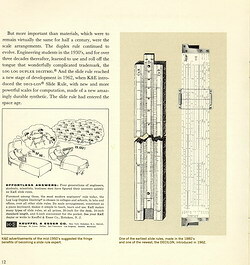 "4000" series data here is from the 1936 K+E catalog and some later numbers from live examples, later "4100" series numbers and 68-rules are taken from live examples and a 1964 K+E brochure. 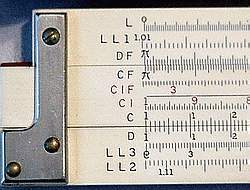 The dash number on these "4000" series rules indicates the size of the rule (based on the same scale pattern), and is the SCALE LENGTH, not the over-all size of the rule itself. 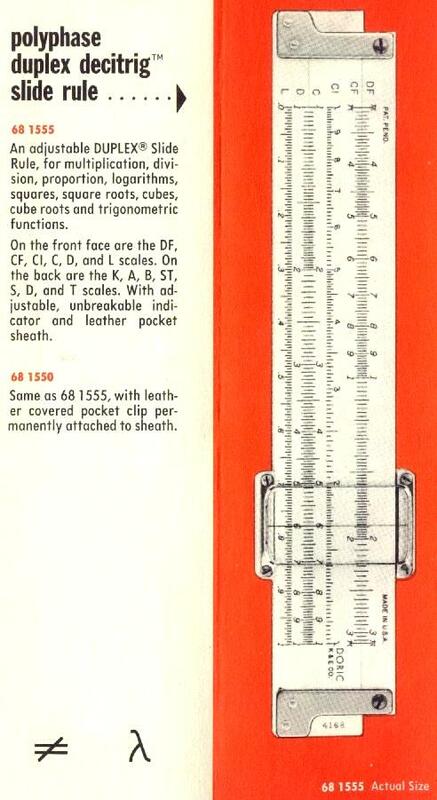 There was a brief period (50's) where K+E used a different numbering scheme beginning 90 (9081 for example) for DORIC brand Ivorite body rules but then changed back to 4100 series numbers. 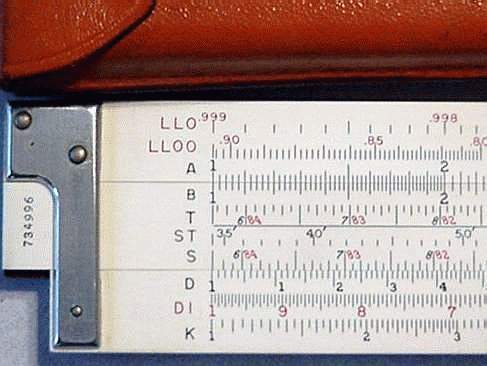 68-rules have no dash to indicate length, but had different ordering part numbers for different cases (with or without pocket clip or other case styles), although the slide rule number itself was not changed, raising confusion to new levels for all involved. 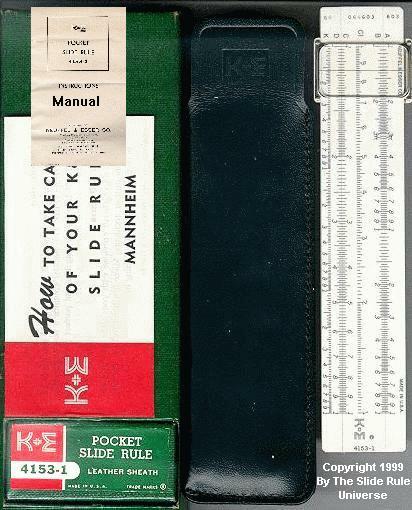 Dating K+E slide rules is a complicated task, as serial numbers were recycled three times at K+E. Based on external clues from the body and cursor (although caution is needed there, as it may have been replaced), as well as case and manual details, and any copyright or patent dates, it is possible to place the rule within one of the three probable cycles. The copyright or patent date IS NOT the date of manufacture, and may be decades earlier than the real production date. Note that evidence from Deci-lon rules shows at least one additional cycle after the ones shown below, plus some random numbers after 1964. 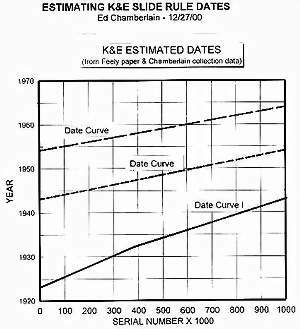 Considerable work was done to calculate these serial number cycles by Wayne Feely and Ed Chamberlain, and Ed's quick chart is provided here with permission to help you date your rules. Click on the chart to bring up a larger version! 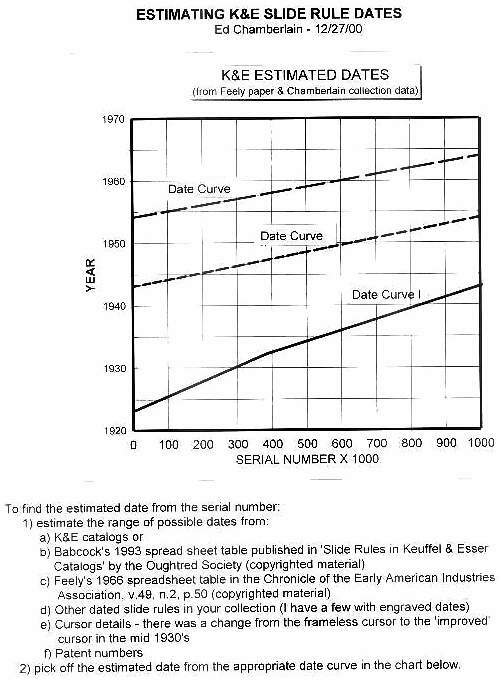 Note that Joe Soper identified many end of manufacture rules that had out of sequence parts, so rules made in the last year or so of production may have numbers that do not fit this chart. 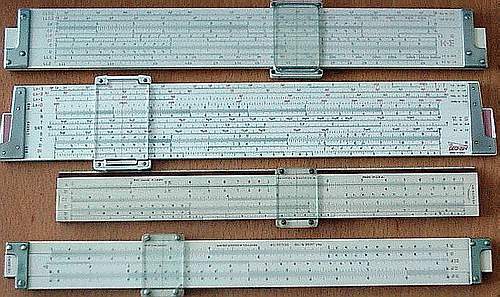 Note: this is an Excel File! 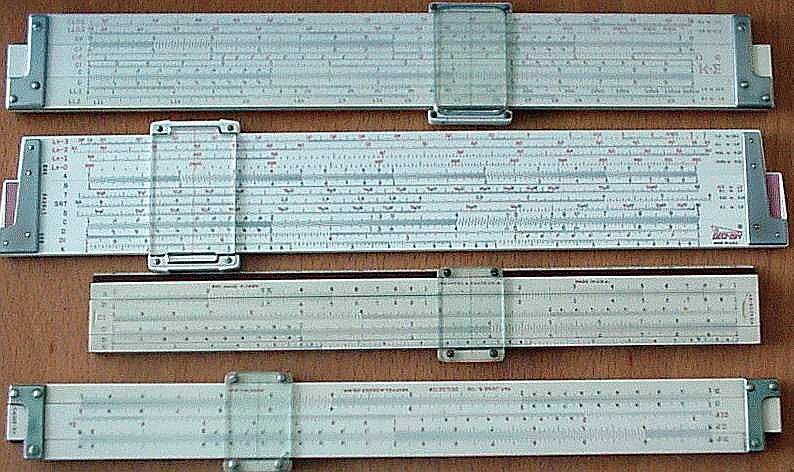 4070-3 Polyphase Duplex Trig 10"
4070-3S Polyphase Duplex Trig 10"
4071-3 Polyphase Duplex DeciTrig 10"
4071-3S Polyphase Duplex DeciTrig 10"
4080-3 Log Log Duplex 10"
Trig scales inches, seconds, degrees. 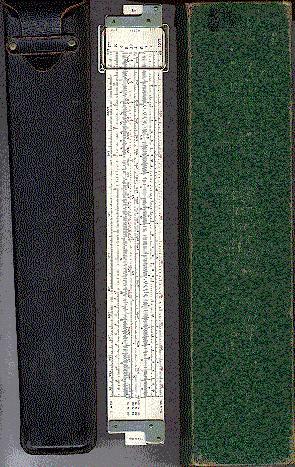 4080-5 Log Log Duplex 20"
Trig scales decimal degrees. Many cosmetic variations. 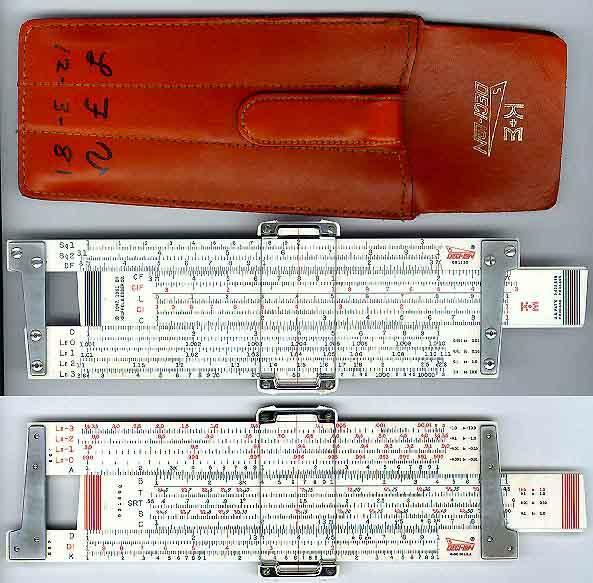 4083-3 Hyperbolic Log Log Duplex 10"
N4083-3S Hyperbolic Log Log Duplex 10"
leather case Magnifier and fitted case! 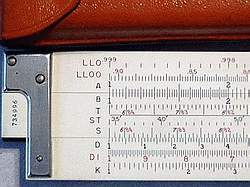 4090-3 Log Log Trig Duplex 10"
Trig scales degrees and minutes. 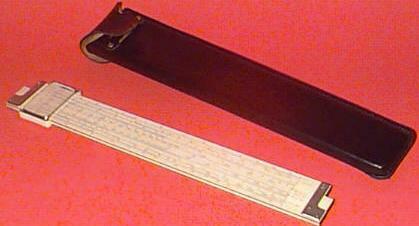 4090-3S Log Log Trig Duplex 10"
4091-3 Log Log Deci-Trig Duplex 10"
Trig scales in degrees and decimals of degrees. 4091-3S Log Log Deci-Trig Duplex 10"
4092-3 Log Log Duplex 10"
4092-3S Log Log Duplex 10"
N4092-5 Log Log Duplex 20"
N4092-5S Log Log Duplex 20"
4093-3 Log Log Vector Duplex 10"
4093-3S Log Log Vector Duplex 10"
4093-5 Log Log Vector Duplex 20"
4093-5S Log Log Vector Duplex 20"
N4096 Mannheim Desk Slide Rule 20"
metal stands, leatherette covered hard case. 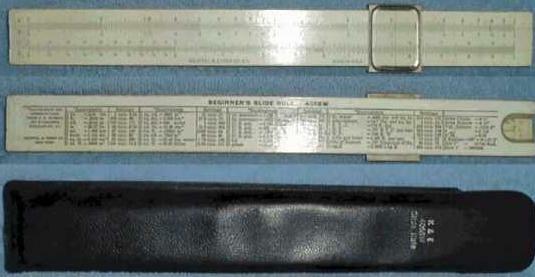 [ S, L, T ] on reverse of slide, back rulers, frameless xylonite indicator, very light weight, leather sheath. 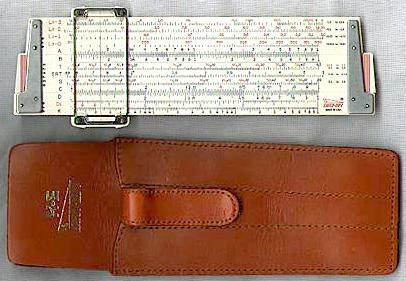 N4133S Mannheim Roylance Electrical 8"
improved glass cursor, multiple hairlines, special rule marks, leather case. 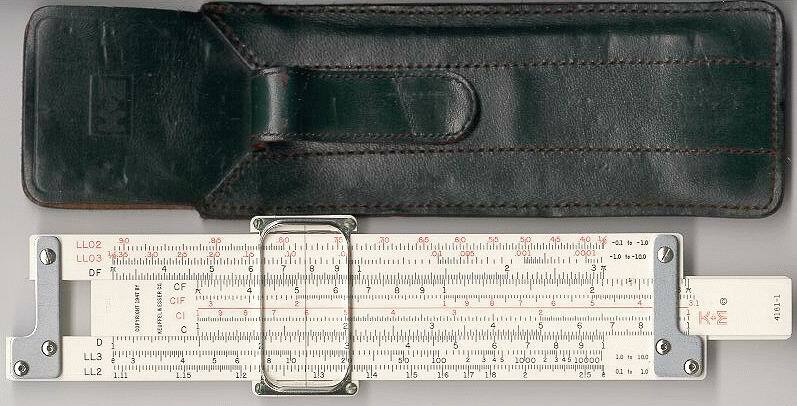 N4135S Power Computing Duplex 5"
P, R, W, D, for steam, gas and oil engines, frameless glass indicator, leather sheath. 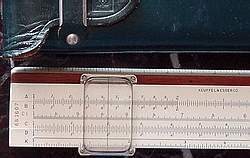 4139 Duplex Cooke Radio Rule 10"
improved glass cursor, special electronics scales, hard case. 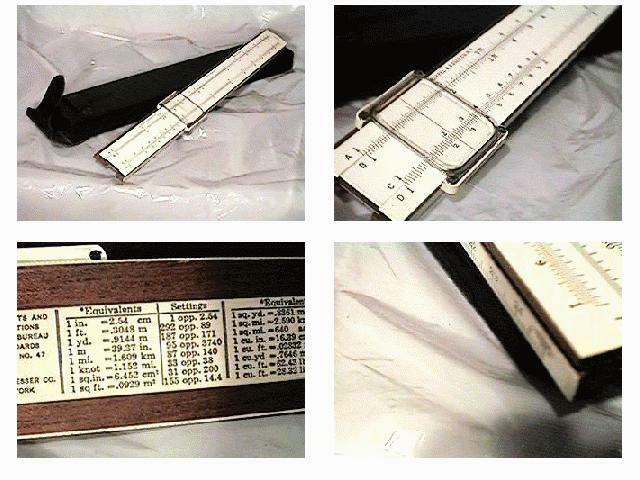 Wood Special air conditioning scales, improved glass indicator, formulas on reverse. 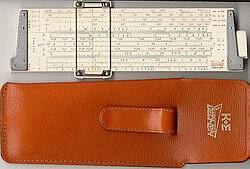 4181-1 Log Log Duplex 5"
Improved cursor, leather case. See also 68-1287 for later release of the same rule. Note that several cosmetic variations exist, with all black, and black and red scales. 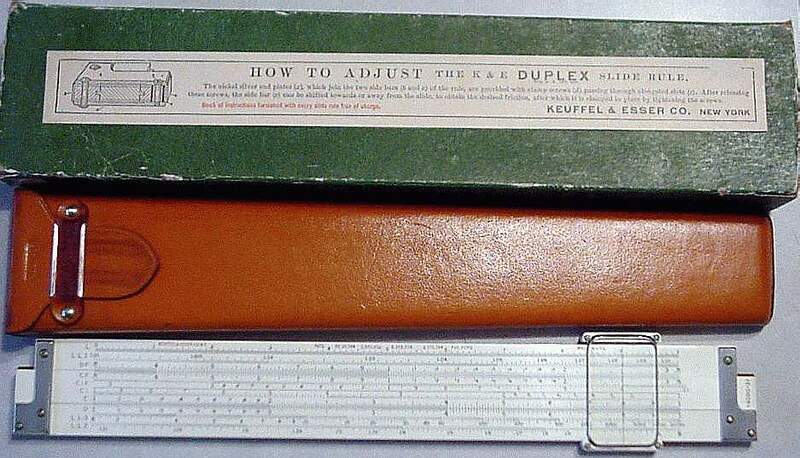 4181-3 Log Log Duplex 10"
Improved cursor, leather case. See also 68-1251 for later release of the same rule. Improved plastic cursor, leather case. Improved plastic cursor, leather case. Final Deci-lon production, no model number or grip lines on slide. 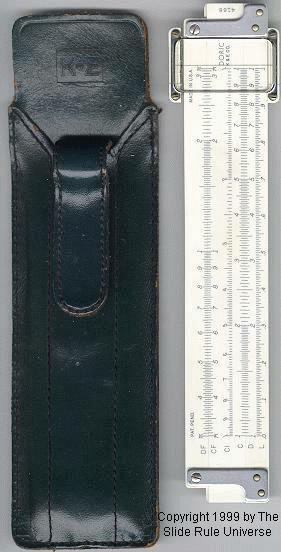 Improved plastic cursor, pocket clip leather case. 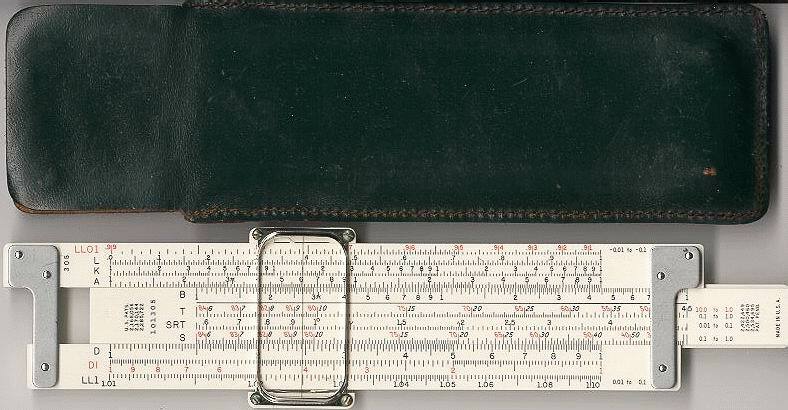 Pocket sized version of 68-1100 full size rule. Improved cursor, leather case. Appears to be a re-numbered 4081-3 rule. 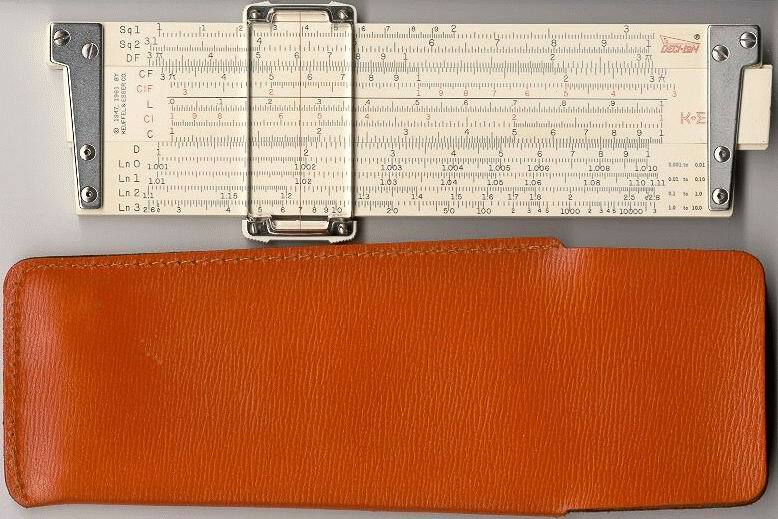 Improved cursor, leather case. 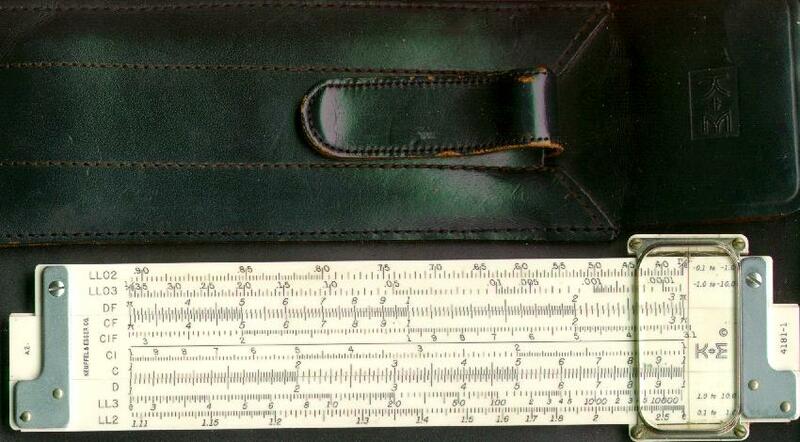 Appears to be a re-numbered 4081-3 rule, complete with sewn leather case, in a set, the rule is still numbered 68-1210. Improved cursor, leather case. Seems to be newly numbered 4181-3 rule in every respect. Improved unbreakable cursor, leather case. Seems to be newly numbered 4181-1 rule in every respect. 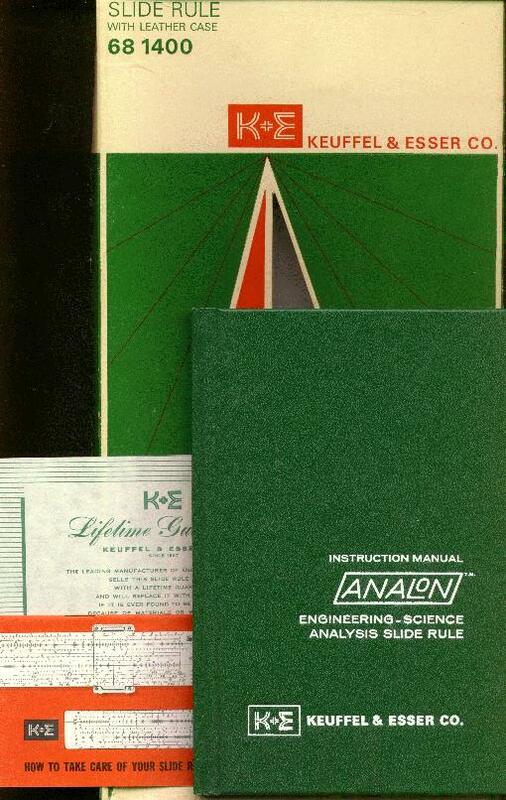 Analon Analon engineering constant rule 10"
Improved unbreakable cursor, leather case, special manual. 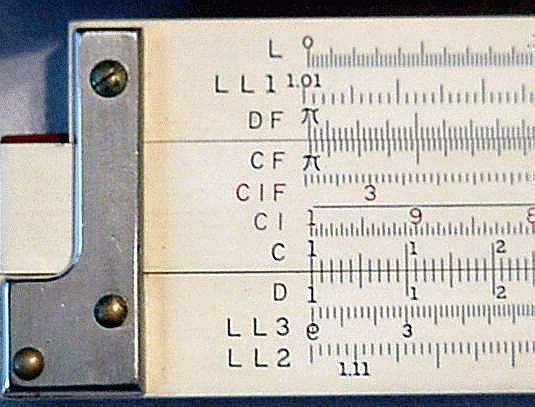 Completely unique rule and scale design, with pysical constants on the scales. plastic cursor, black and red scales, green plastic body supports, black leather case. Very nice but seldom seen late production rule. 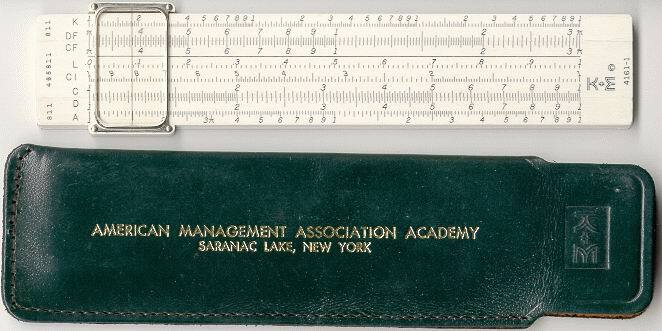 Same as 4053-5 Mannheim Polyphase 20"
Same as 4053-3S Mannheim Polyphase 10"
68-1749 Mannheim Desk Slide Rule 20"
plastic cursor, green scales, green plastic body supports, plastic pouch. 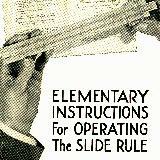 Old Pocket Mannheim rule - - -shows extra magnifying cursor added. Image credits: most of these images are from public postings to Ebay with no copyright restriction noted. I will be adding the exact references over time, so please be patient. If you are the originator of any image showm please advise, and we will add your specific credit and an email link (if desired). If you are the original owner, and do not want your image shown, please advsie, and we will remove it.